Whether you choose to have a casual gathering of friends and family or a more formal special event, we have the perfect venue options for you. Our in-house event coordinator will ensure that all details are handled expertly so you may relax and enjoy your guests. We will guide you through the menu selections, creating a delightful spread to fit any budget. The Inn has six rooms to accomodate your overnight guests with a full breakfast included. 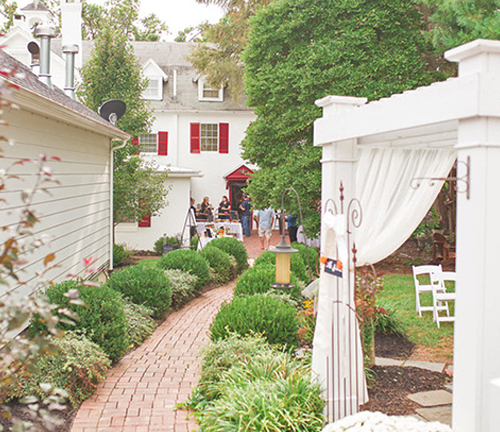 If you choose the full Inn house rental you can enjoy the use of the beautiful garden patio, grounds and indoor common areas for up to forty guests. The Brewery has indoor options (during non-operational hours), as well as a wonderful patio available seven days a week. Our unique location can facilitate the following events and more!